Cabot Watch Company – a humble UK-based brand with its roots in British military – is a name most likely unfamiliar to the casual collector. Founded in 1972 by ex-Hamilton director Ray Mellor, the brand itself doesn’t have a long and storied history like some other popular vintage military makes. 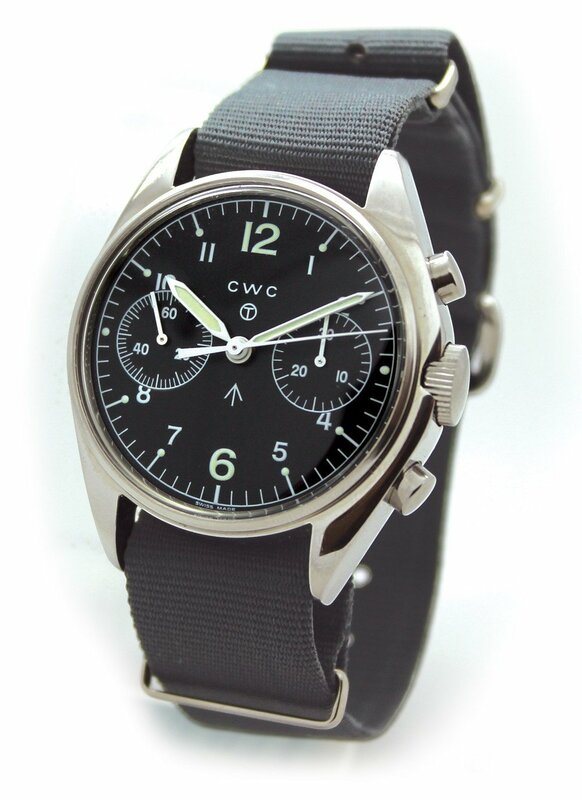 But unlike Hamilton (and other Swiss brands with military contracts), CWC was founded with a singular purpose – to build military-spec watches for the British government. It’s that singular historical purpose that strips CWC watches of all pretension. No high-priced advertising agencies, no celebrity sponsors, just well-built utilitarian watches that were meant to serve a purpose for the people that needed them most. And the watches themselves, spartan, stripped down, and classically styled to military specifications, reflect that mission to serve perfectly. Known most famously for winning the contract that superseded the legendary Rolex MilSub, the CWC Royal Navy Diver is a watch that is almost as rare (and significantly less expensive than) the watch it superseded. CWC’s other models, namely the Pilot Chronograph and G10 General Purpose Field Watch, have become highly sought after as well, cashing in on the current craze for military and vintage styled watches. Today CWC remains in business, providing faithful recreations of most of their service watches, built to the same military specification (with modern components). Vintage CWC watches are also plentiful, with thousands of military-issued watches being rotated out of service every year and sold second-hand on forums and at auction. 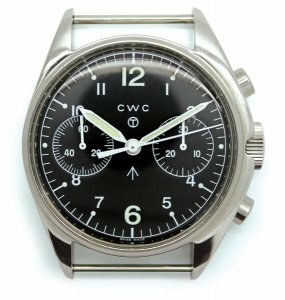 This article is meant to serve as an introduction to CWC’s line of vintage and re-issued military watches, with a brief description of each of their models and their historical importance. Let’s take a deeper look. 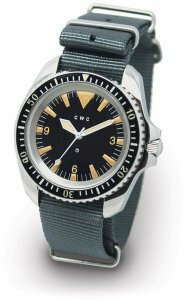 The CWC Royal Navy Diver, particularly the self-winding model, is one of the most collectable of the Vintage CWC military watches. The British Ministry of Defense (MOD) had a long-standing contract with Rolex to produce military watches dating back to the 1950’s. But by the 1970’s, due to the rising prices of the Rolex models and some purse strings tightening at the agency, the MOD began looking elsewhere. In 1980, CWC won their first military dive watch contract and began producing the CWC Royal Navy Diver. 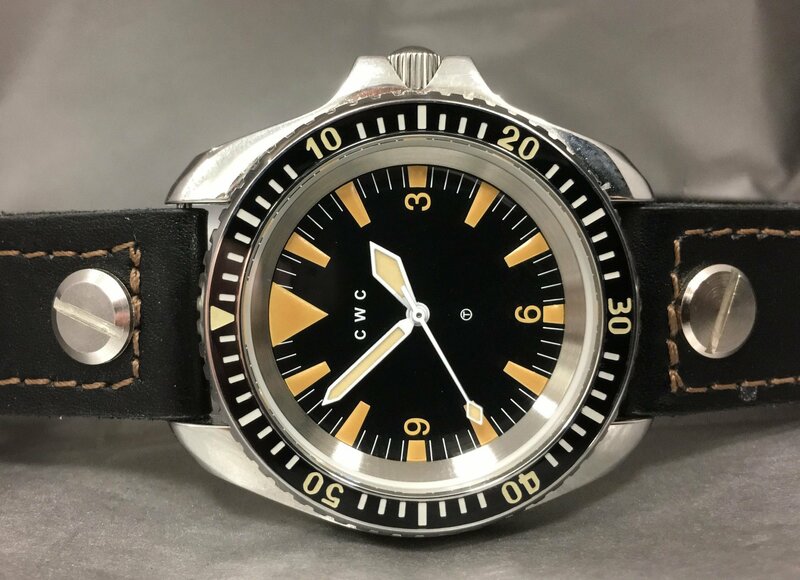 Featuring a 44mm case sourced from MRP S.A (also utilized by Heuer, among others), a hashed bakelite insert, 32mm domed acrylic crystal, lumed sword hands and a boldly marked tritium dial, the CWC MilSub embodied all the traits of a strict military dive watch. 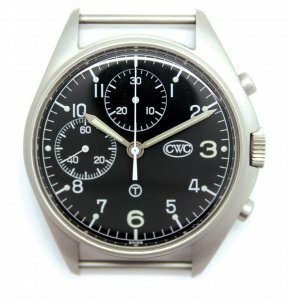 The first iteration of the watch was self-winding, fitted with an ETA 2783 and provided to the MOD for only two years (1980 and 1981). Giving way to the pressure of the quartz movement in the early 80’s, later iterations were fitted with battery powered movements and issued continuously until the mid-90’s. Some special editions of this watch were also produced, including a stealth PVD black version supplied to the SBS (Special Boat Service) in the mid-90’s. 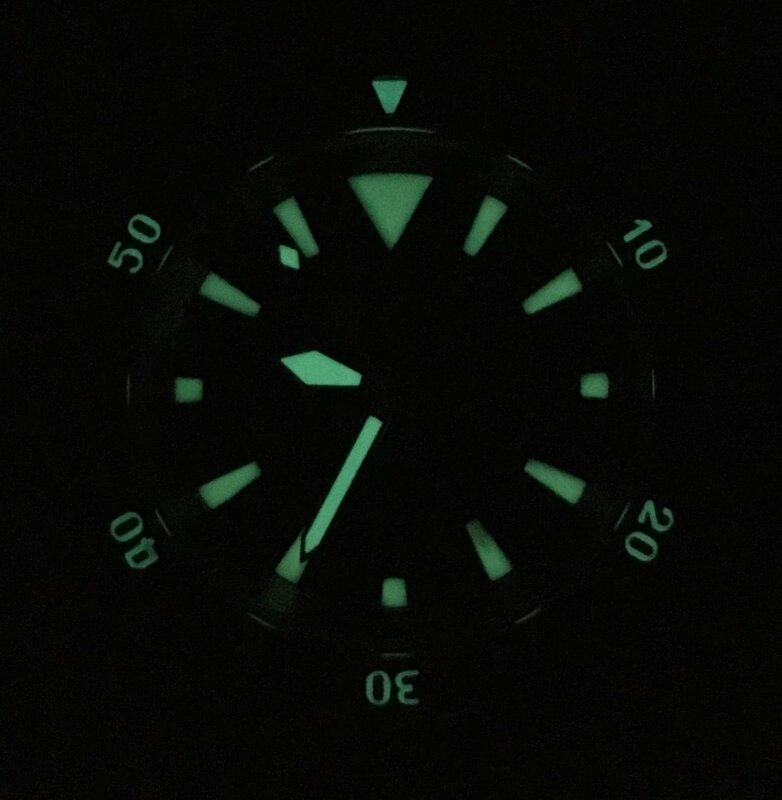 Tritium dials eventually gave way to Superluminova, but the iconic design remained intact. 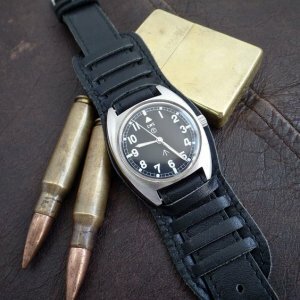 For those collector’s looking for a no-nonsense military watch, this may be one of the best examples. Never made available for civilian purchase (until now), the vintage CWC perfectly embodies the stripped-down utility of a military dive watch. 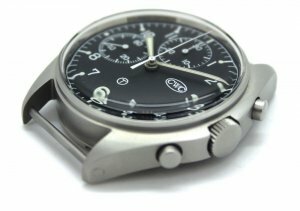 The W10 is the most humble and common of the collectible British military watches, a plain field watch issued to British Army serviceman since WW2. 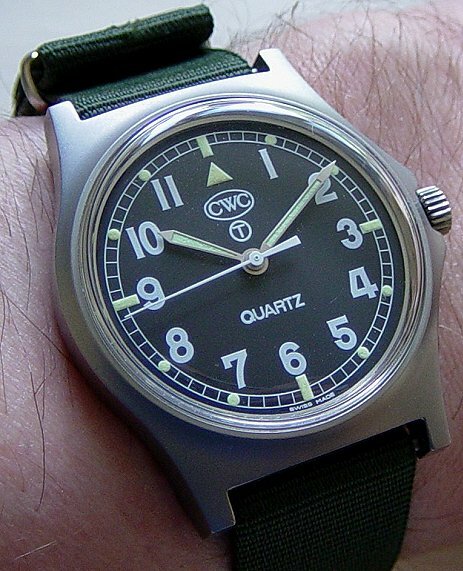 Available in a few different styles, the W10 is typically the most affordable way to get into vintage CWC watches. 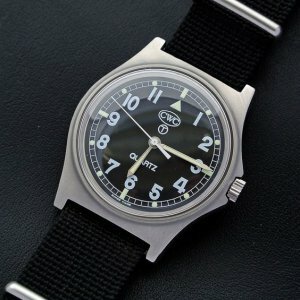 There is some general confusion around the terms used for these watches, as “G10” was a reference to the form that serviceman were required to fill-out to receive the W10 watch. Even though the form was called “G10”, this term is colloquially used to reference almost any general service MoD issued military watch, and CWC actually has a model “G10” that references their quartz models post-1980. To make things even more confusing, the term “W10” is used specifically by collectors to reference the “tonneau” shaped case versions of the watch that were issued during the 1970’s. The first W10 watch was issued by Smith’s in 1967, a strikingly simple and balanced field watch featuring arabic white numerals on a simple black dial lined with a track around the edge of the dial. The W10/G10 has followed the same pattern ever since, and the CWC version is no exception. 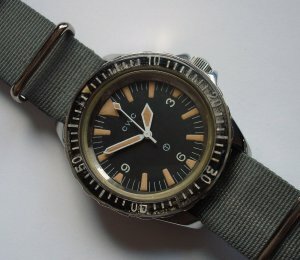 I’m partial to the style of the W10 personally, as I feel the 70’s style case gives the watch so much more personality. Vintage versions of these watches are still collectable (and relatively affordable). In fact, they are still produced to the same specifications today by CWC, so you could purchase one new if you desired. The vintage quartz versions are known to last for 40+ years, and the mechanical versions are incredibly durable as well. 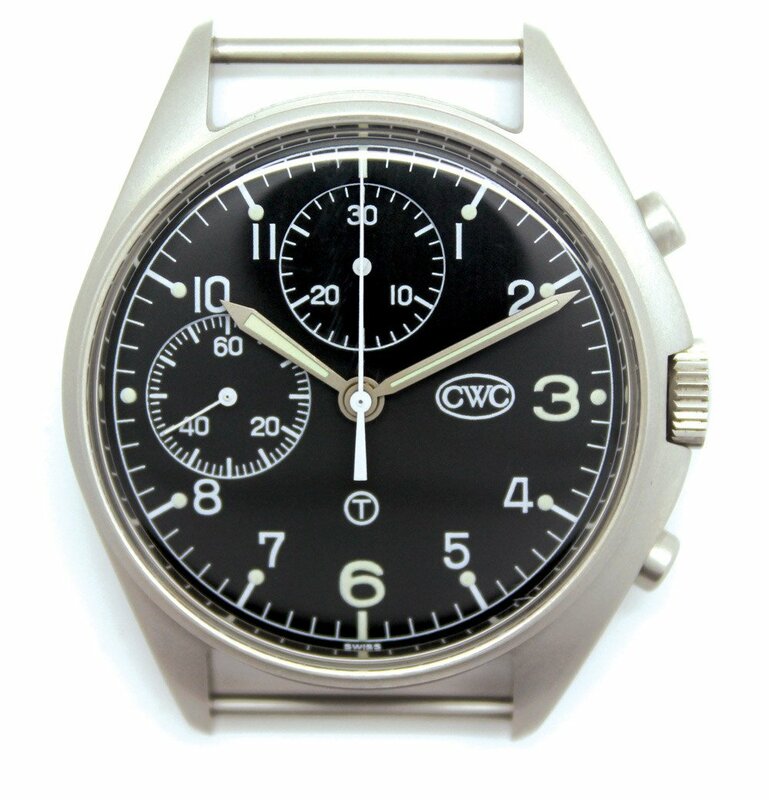 The CWC Pilot Chronograph was one of four military pilot chronographs produced for the British Military in the early 1970’s. These four watch companies – CWC, Precista, Hamilton, and Newmark – all produced nearly identical models, featuring the iconic asymmetrical case, two-register chronograph, and workhorse Valjoux 7733 movement beating inside. Hamilton was the first to produce this watch in 1970, with CWC following in 1973. Precista and Newmark began production in the early 80’s. Nearly all design elements of the watches were specified in DEF-STAN 66-4 (Part 2), a military specification that was first produced in 1969. 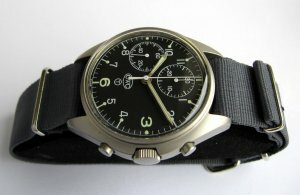 As part of austerity measures in the early 1970’s, the specification was revised to allow for cheaper commercially available movements to be utilized in military watches. This gave way to the utilization of the Valjoux 7733, and modified the design slightly, allowing for push buttons to be placed at the top and bottom of the watch to control the chronograph functionality. The dials are black with white markers, illuminated 12 and six numerals, and illuminated dots at each hour marker. 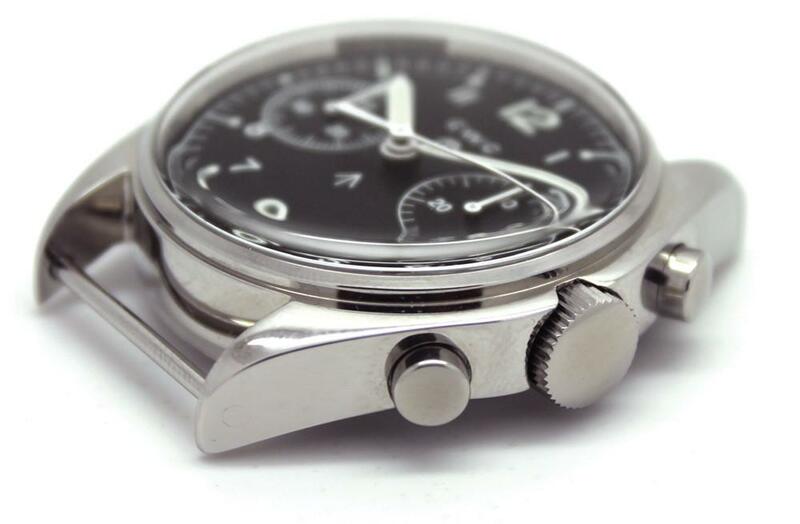 Unique to the Hamilton and CWC models is the British “pheon”, or “broad arrow” marked on the dial. 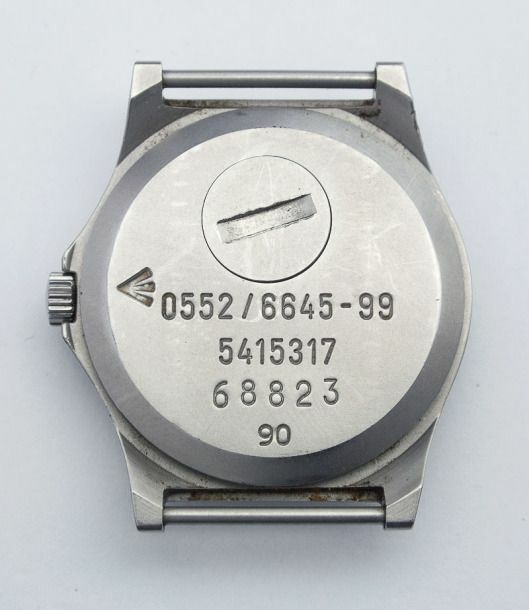 This particular marking signifies that the watch is property of the British government, and can be found on most British military watches throughout history. Many vintage examples of these watches actually have parts from several different models mixed together (for example, a Hamilton dial with a CWC movement). Part swapping was common within the MoD at the time, as all models had interchangeable parts and sometimes watchmakers only had access to one particular brand’s parts at any given time. This doesn’t necessarily make the watch inauthentic, but care should be taken when purchasing a vintage example to make sure the price reflects the assemblage of the piece. 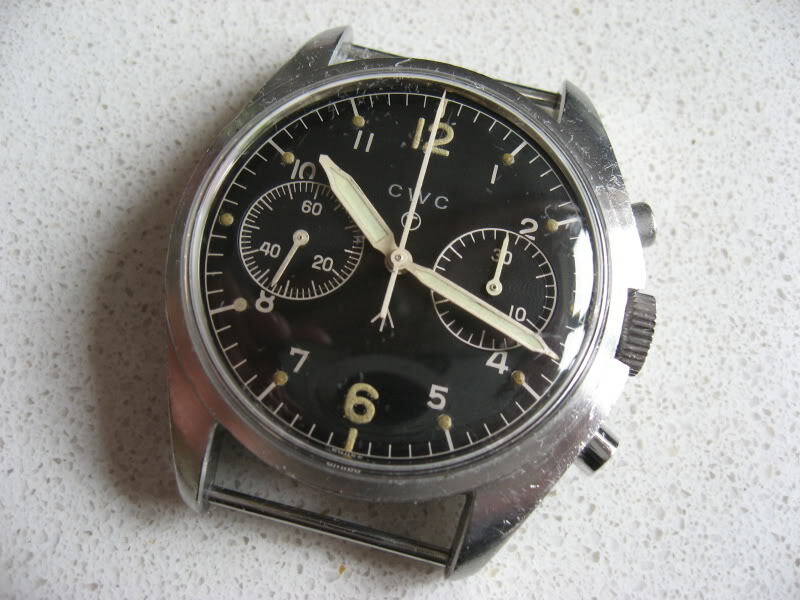 The ugly duckling of the vintage CWC stable, the CWC RN Fleet Air Arm Pilot’s Chronograph was issued to Royal Navy pilots in the 1980’s and 1990’s. The Fleet Air Arm (FAA) is the branch of the British Royal Navy responsible for the operation of naval aircraft, and most FAA pilot’s flew their aircraft from carriers offshore. Similar to the other CWC Pilot’s Chronograph, the RN Fleet version has an asymmetrical case to help protect the pushers and crown. But the most striking design feature if the placement of the chronograph sub-registers at 9 and 12. It looks slightly off-balance, but when combined with the asymmetry of the dial it does look quite distinctive. 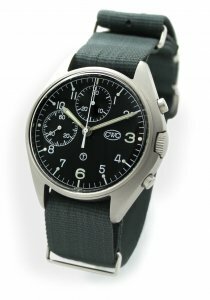 You don’t buy a military watch for its good looks, although many have come to appreciate this particular style. These were the last Tritium dialed watches that CWC produced, and you can still buy them NOS (“New Old Stock”) from CWC’s original production lot on their website. 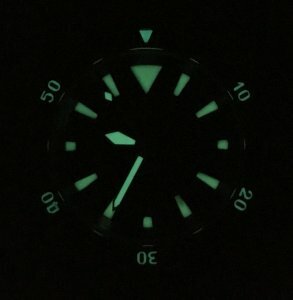 Although the Tritium barely glows, finding a “vintage” watch that hasn’t been used at all is quite compelling for new collectors. 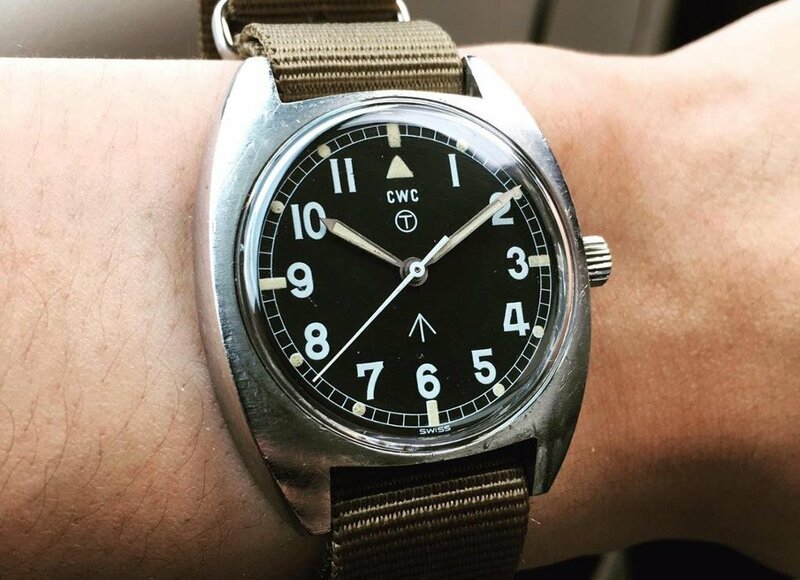 For fans of military and vintage watches, CWC deserves a much closer look. Although lacking the provenance of comparable Rolex and Omega military pieces, the CWCs have all the same military charm without the collector’s price tag. And if vintage isn’t your thing, the modern re-issues are nearly identical and guaranteed to last a lot longer than one that’s been dragged through the mud in the Falklands. 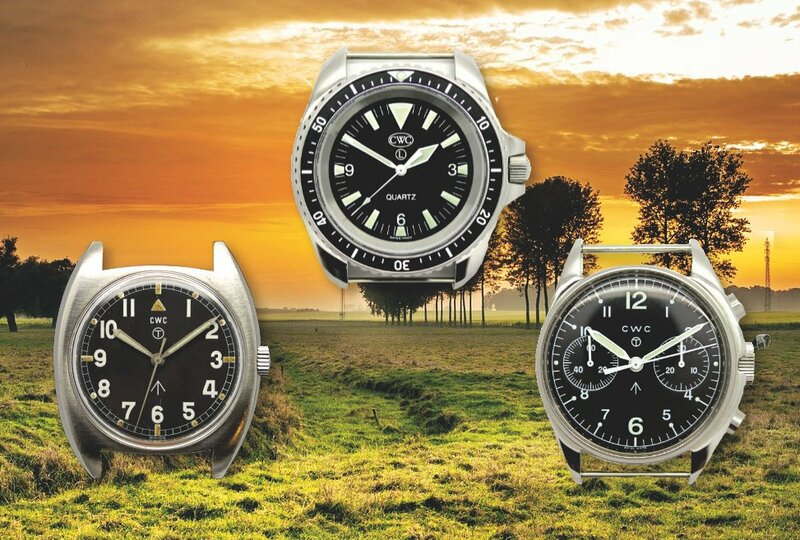 More information at CWC Watches. Your CWC W10 Information is incorrect. The W10 Depicted is a model made from 1973 To 1979, as it was a manually wound ETA 2750 Movement. 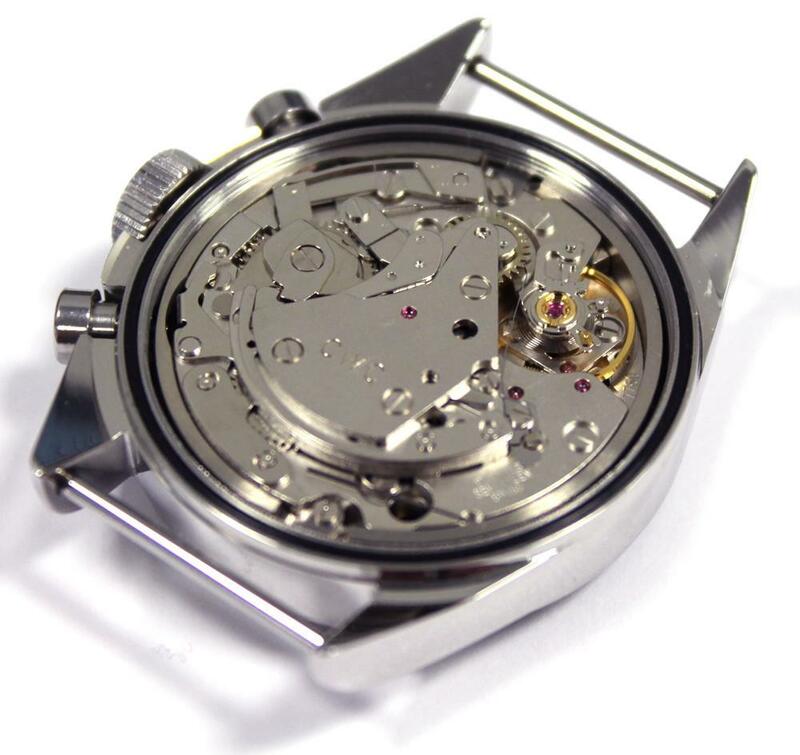 In your article you claim it to have a Quartz movement…..Not Funny! The 1980’s W10’s were completely different and we’re powered with a Quartz movement. Please correct your article. (I own a 1979 CWC W10). Thanks! Ernest, you are correct, the main image of the W10 I included is indeed the mechanically powered version. However, the article was attempting to encompass all generations of the W10 (including the new and vintage Quartz powered versions I linked to above). I will add a clarification!